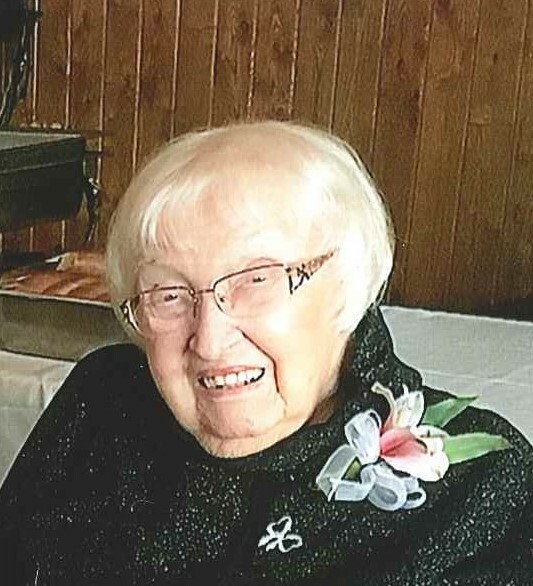 Thelma Louise (Potter) Kortkamp, age 102, passed away December 2, 2018 at North Shore Estates in West Duluth where she resided for the past five years. She was a lifelong resident of Duluth and the surrounding area. Thelma, the daughter of Scott and Alma Potter, was born November 2, 1916 in Heron Lake, MN. She was a graduate of Morgan Park High School, and Duluth Business College. She was employed most of her life in various office management positions for regional companies such as The Duluth Clinic; WIRL Radio in Peoria, IL; Young & Rubican Advertising Agency in Chicago, IL; WNGY Radio in Minneapolis; WTCN Television in Minneapolis; Knox Reeves Advertising Company in Minneapolis; the Congdon Corporation in Duluth; and the Tower-Soudan Chamber of Commerce in Tower, Minnesota. She was a charter member of the National Secretary’s Association; and a member of Our Saviors Lutheran Church. Thelma moved to Tower, MN when she married her late husband Ivan in 1973. When he died in 1982 she returned to West Duluth where she lived most of her life. She wintered in Ocala, FL several years with a close friend, Susie Rodgers. Here in Duluth, Margie Beattie of Superior, WI was her closest friend and care provider for many decades. At least twice a week Thelma and Margie would meet at various restaurants in Duluth-Superior for lunch or dinner. Even at the age of 102, Thelma would ride the Stride bus just to get out and about. Thelma was preceded in death by her parents, Scott and Alma Potter; her husband, Ivan Kortkamp; and two sisters, Lois Hedlund and Melva Anderson. She is survived by nephews, Charles (Beverly) Anderson of Rochester, MN; Thomas Hedlund of Seattle, WA; Scott Anderson of Ocala, FL; and stepson, Mark (Elaine) Kortkamp. She also had several cousins, nieces and nephews. Thelma often expressed gratitude for the kind staff at North Shore Estates. But her closest “special” friends were Susie and Margie. She regarded them as “the daughters she never had.” A private burial is planned in Spooner, WI. Memorials may be sent to St. Luke’s Hospice Duluth, 220 North 6th Ave. E., Duluth, MN 55805. Arrangements by Williams Lobermeier Boettcher Funeral Home.